Fondazzjoni Patrimonju Malti has been assiduously working on a large-scale project, entitled Music in Malta – From Prehistory to Vinyl, reaching its highlight in a major exhibition that will be taking place at the Mdina Cathedral Museum. It is officially open as from today and will run until June 16. The primary aim of the Fondazzjoni has always been that of spreading awareness about the Island’s extensive heritage. Over the years it has created several themed exhibitions that have widely broadened our knowledge of the rich heritage of the Maltese Islands. The Fondazzjoni’s chief executive officer, Michael Lowell, and his dedicated team are this time shining a light on Malta’s musical culture and the diverse influences that have acted upon it. The visitor will be taking a journey through Malta’s soundscape, weaving through several broadly defined sections, namely In The Beginning, Sacred Music, Folk, Baroque to Romantic, Il-Banda and Early Recordings. Starting from the basic striking of rocks and the jangling of acoustic shells in prehistory, it works its way through both the sacred and the secular, instruments of worship and of ritual, elite and folk entertainment, the rise of the local banda, and it comes to its conclusion with the first Maltese recordings of the early 1930s. On my part, as curator of this exhibition, it has been a long and exciting journey of constant discoveries. There has never been an exhibition of this kind locally. Never have so many musical artefacts, instruments and manuscripts been collected into one space to give us such a defined and tangible picture of our musical culture and heritage. The exhibition covers a very vast time span. 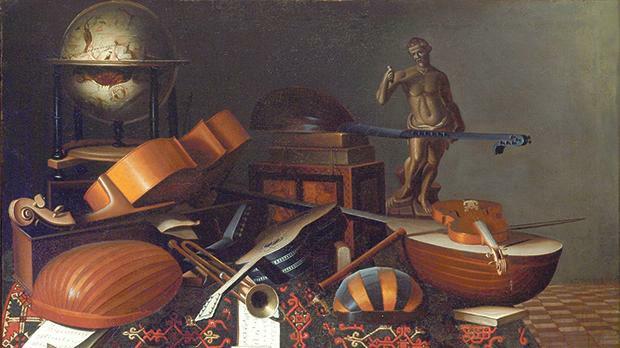 It does not restrict itself to Maltese instruments but includes all instruments that have entered our shores and been adopted by the Maltese people at different points in time. Already in prehistory, we find the presence of acoustic ornaments made of shells, fish vertebrae and even faience beads. Corinthian, Etruscan and Roman artefacts from local excavations reveal the movement and the sharing of cultures around the Mediterranean from earliest times. I am particularly glad to say that a very important tombstone of a Greek actor musician from Roman times has been brought out of storage form the archaeology Museum for the exhibition. Some very rare manuscripts show the development of chant and its notation from the 12th century onwards. We will be seeing stringed instruments by leading makers that have emerged from closets in private collections, and notable keyboard instruments that have also surfaced. Folk instruments emphasise the constant fusion of cultures around the Mediterranean and the sharing of instruments, partly owing to environmental similarities and especially the presence of the ‘Arundo donax’ plant we know as qasab. The importance of this plant is incalculable in the Mediterranean basin. 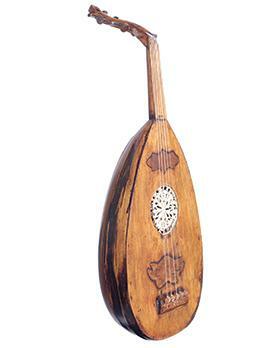 Several band clubs have a very rich legacy of early band instruments, mostly well cared for, others less so. It was an interesting discovery to find some unique prototypes among them, made by the well-known makers Boosey and Hawkes, specifically for Maltese bands. 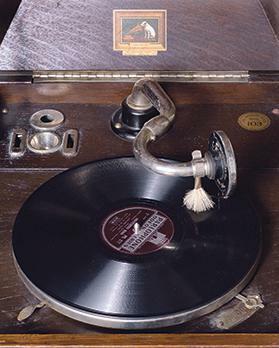 The end of the 19th century saw the introduction of gramophones and recordings. Malta was fortunately also part of this exciting period of innovation. Maltese folk and popular singers, musicians and choirs were in the early 1930s recorded for posterity. Malta’s varied music culture was caught at that moment in time and permanently preserved for us to enjoy. Together with these artefacts, instruments and recordings, exceptional paintings depicting musical instruments, as well as period costume are all included to visually weave the whole intricate story of music on our islands. Sound has been the protagonist throughout the building of this project, taking Renzo Spiteri on board as sound artist and composer. The exhibition will be equipped with audio recordings so that one can follow Malta’s journey through time, not only seeing but also hearing the influences and the impact of dominations and colonisations that moulded the complex Maltese culture. Malta’s geographical position in the centre of the Mediterranean placed it in the heart of diverging cultural currents, and its history led to importations and influences from these varying cultures and religions. Malta’s instruments and sounds are intrinsically very much part of our patrimony and identity as Maltese people, but at the same time they also link us to the various cultures around us. This journey through sound is not just encapsulated within the four walls of the exhibition but is extended to a full programme of performances by local and foreign artists. This has been underway since last November, with several other performances still to come. All the musical instruments, artefacts and music in the exhibition have been sourced from different private and public collections. This makes it a very rare opportunity for us to see them all gathered under one roof. A fully illustrated catalogue that includes contributions by various academics has also been compiled to accompany the exhibition. 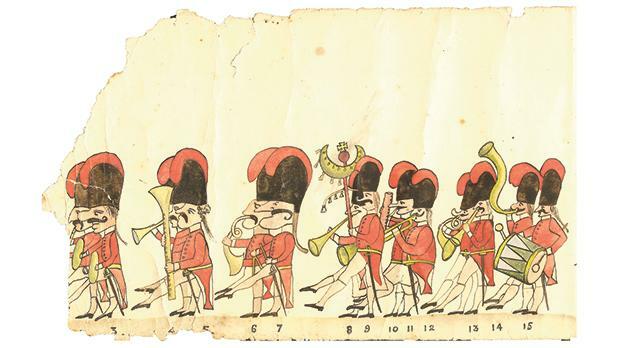 Caricature of a procession, St Lawrence, Vittoriosa, detail shown, 19th-20th century, Private collection, Malta. Friday, April 26 at 8pm and 10pm: Renzo Spiteri – Palazzo de Piro, Mdina. Thursday, May 9 at 8pm: An Evening of Strings – Chapter Hall, Mdina Cathedral (free entrance). Sunday, May 19 at 10.30am: The National Youth Band – A march through Mdina (free entrance). Friday, May 24 at 8pm: AYWA and Mascarimiri – Mdina Ditch. Wednesday, May 12 and Thursday, May 13 at 8pm: Trio Petrakis/Lopez/Chemarini – Mdina Cathedral Museum courtyard. Music in Malta – From Prehistory to Vinyl opens daily from 10am to 5pm (last entry at 4pm) at the Mdina Cathedral Museum. For further information and a full programme of events, visit www.musicinmalta.com or follow us on Facebook.